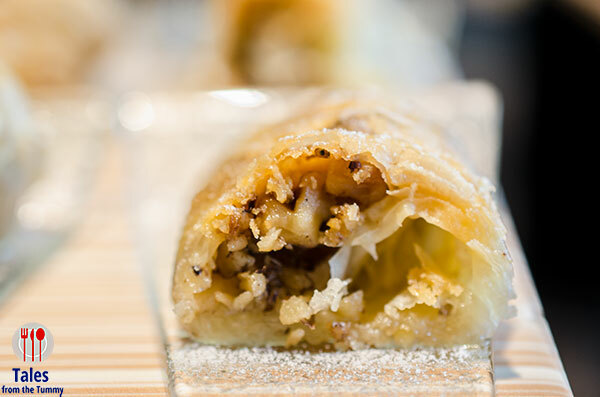 Cucina at The Marco Polo Ortigas Manila is holding a Turkish food festival called “Taste of Istanbul” from October 3 to 15, 2018. 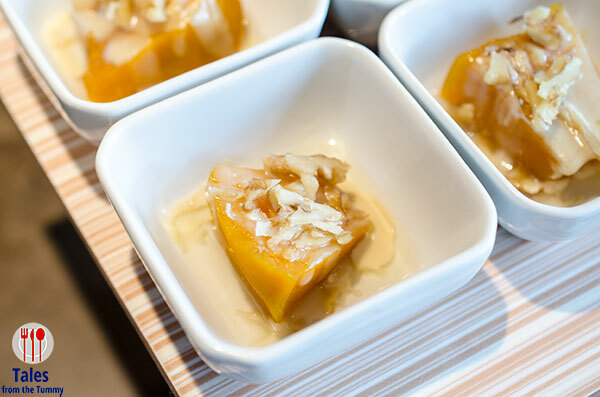 Turkish Airlines flew in Chef Gursel Keles, owner of Fish of North and the chairman of the Eurasian Chefs Association, to create a special Turkish dishes. The buffet is priced at P1,500 for lunch and P1,800 from Monday to Thursday, P2,300 for lunch and P2,650 for dinner from Friday to Sunday. The buffet spread at Cucina is sprinkled with special dishes prepared by Chef Gursel from appetizers like the Circassian Chicken Salad. The salad had a good mix of spices with a little heat from the cayenne pepper. 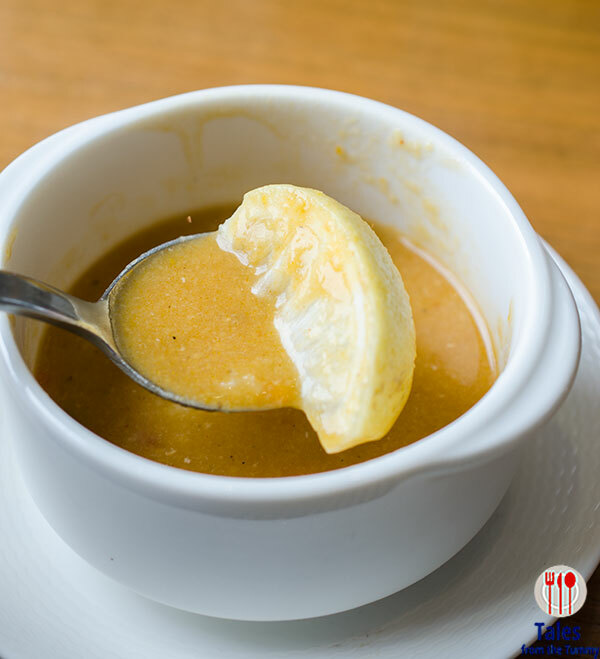 The Turkish Red Lentil Soup is a hearty, and chunky soup with fresh citrus flavors. I imagine this would be perfect for colder weather. 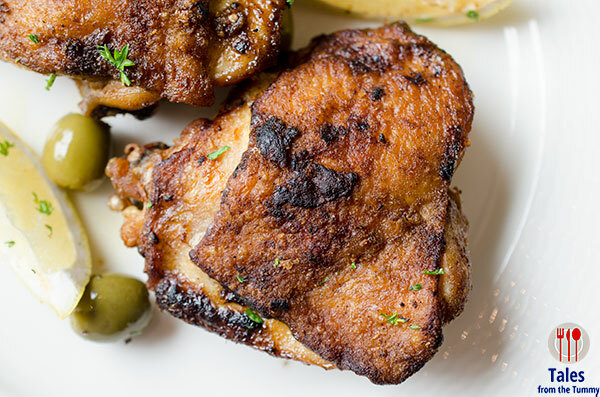 Spiced Chicken with Olive Coriander relish. The chicken had a mix of Turkish spices but what makes it even more special is to eat it with the olive coriander relish. 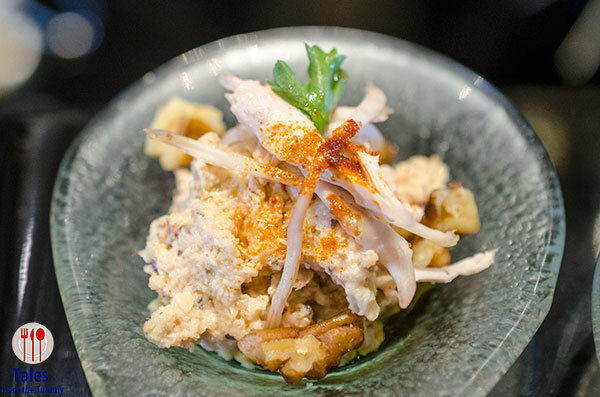 The relish adds a piquant flavor and a fresh taste to contrast with the spices. 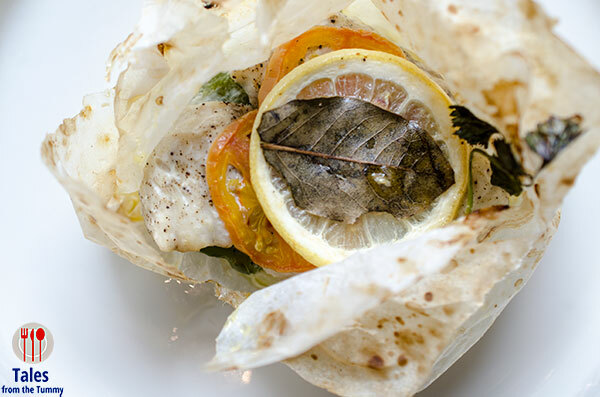 Steamed Sea Bass in Paper with Herbs and Vegetables. Lots of cuisines use paper pouches to cook fish to preserve the flavor and juices in. There’s sweetness from the tomatoes and slight citrus flavor from the lemon to give the sea bass a light, refreshing taste. We found the olive coriander relish so good, we added it here also. 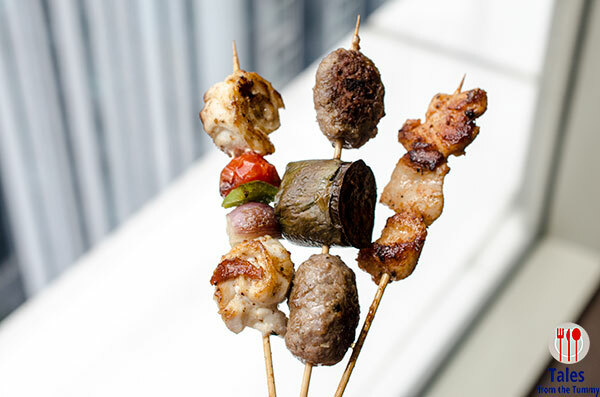 There are a selection of skewers (lamb, chicken, fish), grilled a la minute. We specially enjoyed the lamb and chicken. The hands down best dish for us was the Pan Roasted Lamb with Smoked Eggplant Puree. 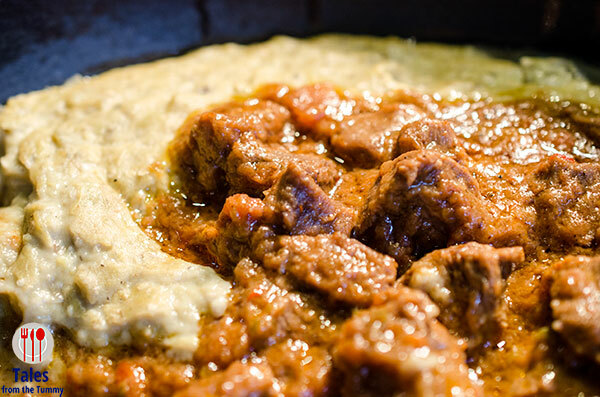 The lamb cubes are tender but bathed in a flavor packed sauce while the eggplant is creamy and smoky, a perfect match. 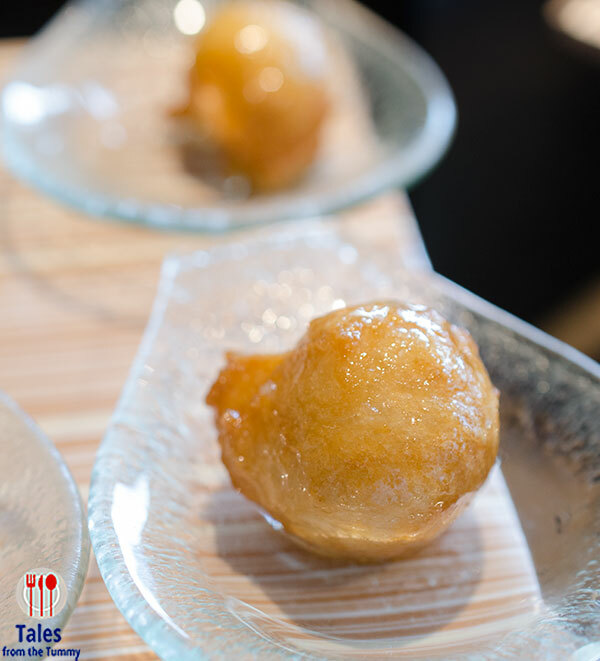 The kitchen had to keep replenishing this dish so I think the other diners loved it too. Some bread to pair with this would be heavenly. 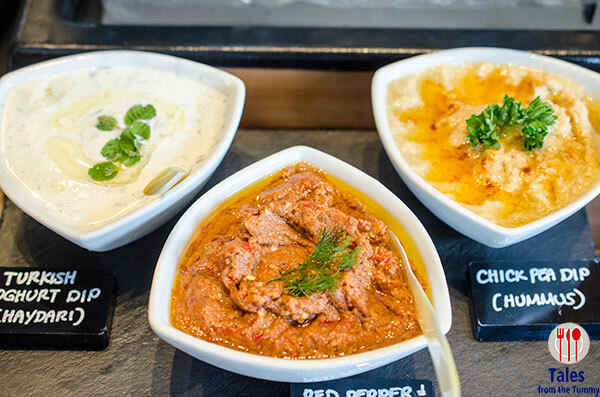 There are a variety of dips to enhance your food like the hummus, roasted red pepper dip and yoghurt dip. 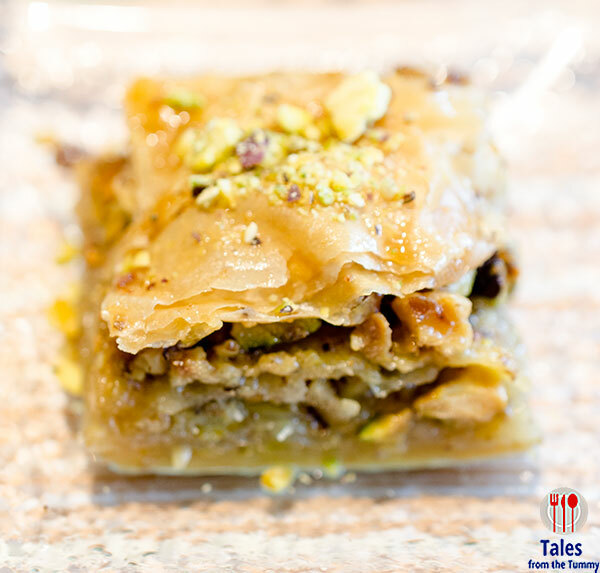 Don’t miss the desserts with two kinds of Baklava, classic and pistachio as well as the aromatic Fried Dough Balls in Rose Syrup and the Candied Pumpkin. Turkey has always been on my to visit list, in the meantime I’ll just go and enjoy the special dishes prepared by Chef Gursel at Cucina.